If you’re a peanut butter fan like Shift Shop creator and Super Trainer Chris Downing is, this Peanut Butter Cinnamon Smoothie will satisfy your peanut butter craving without you having to resist eating it out of the jar with a spoon. I mean, honestly, who does that? Cough. 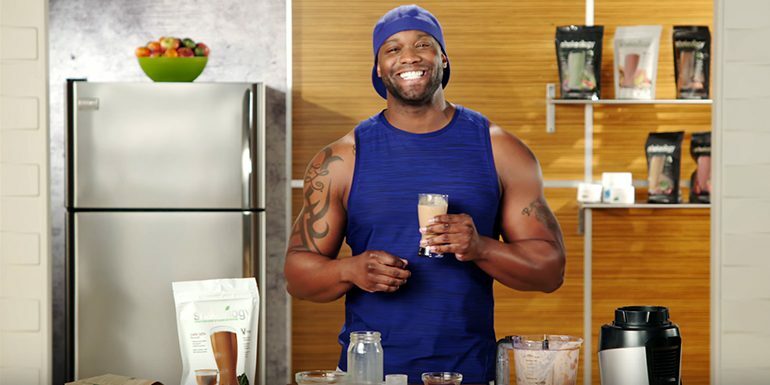 Instead, Chris uses powdered peanut butter, and adds cinnamon for an extra dimension of flavor and to help bring out the smoothie’s peanut buttery-ness. Because, as tasty as it is, peanut butter is pretty calorically dense! 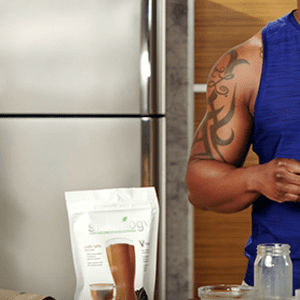 Just two tablespoons of it will set you back around 200 calories—which is one of the reasons it’s counted as a teaspoon in the Portion Control Containers used in the upcoming Shift Shop and many other Beachbody programs. Place almond milk, ice, Shakeology, powdered peanut butter, and cinnamon in blender; cover. Blend until smooth.